In the first letter she sent to us, Marissa’s birthmother let us know that she had another child, Ri, fifteen years older than our daughter. For the first few years when he lived at home, he would read the letters we sent in Vietnamese and help her write letters back. 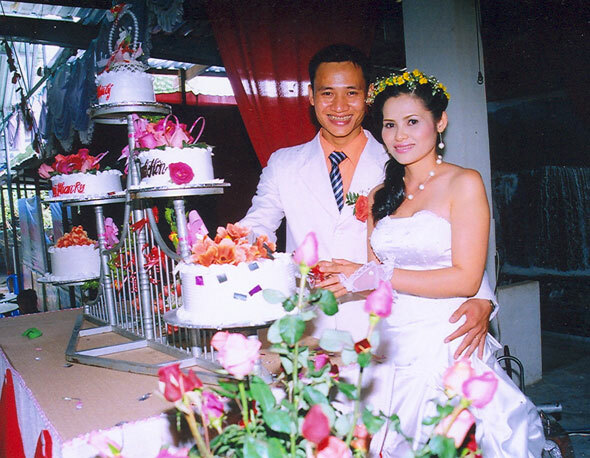 We learned a several years ago that he had moved from Danang to Hanoi and had since met a young woman. The last letter from August indicated that they were going to get married. And today we received another letter, which although we have yet to have translated into English, obviously contains many photographs of the ceremony. We hope to meet Marissa’s brother and his wife in March. Good morning, Vietnam! What did you learn? This reminds me of that time we saw that wedding going on and all the girls had brightly colored dresses on!